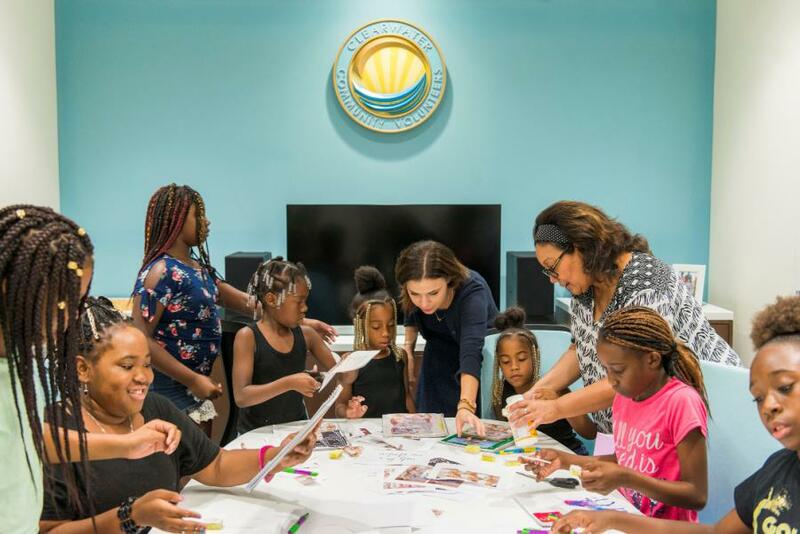 CLEARWATER, FLORIDA, US, April 3, 2019 /EINPresswire.com/ -- On March 31st, the Clearwater Community Volunteers (CCV) held a no-cost and fun-filled celebration of April Fools’ Day, without the conventional mischief, for Clearwater families at the CCV Center in downtown Clearwater. The event began with a catered reception of kid-friendly foods such as chicken nuggets, pizza and chicken Caesar salad, along with desserts like apple fritters and cookies. Tables were set up with children’s activities where kids carried out arts and crafts projects. A contest was also held in which children popped balloons some of which contained tickets they could redeem for prizes.